Though gimmicky-looking at first, with a packet full of ‘evidence’ attached to the front cover, and many illustrations, annotations and comments to the reader, this book is an unusual and engaging read. 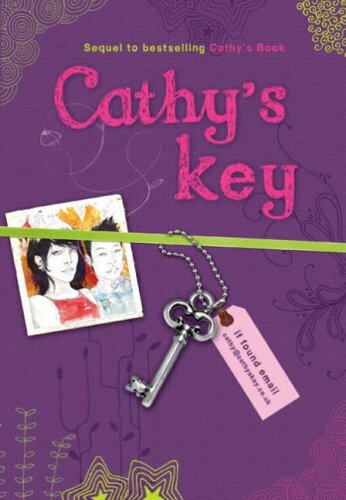 Following on from Cathy’s Book, it tells the story of Cathy’s quest to find out the truth about her father’s mysterious death. Mixed up with a strange San Francisco Chinese cartel, she and her friends use all the ingenuity of TV detectives to crack the problems they encounter. Full of complicated relationships and strange meetings, using all the current forms of communication and illustrated throughout with the sort of drawings and doodles teenagers add to their notebooks, this novel convinces all the way to the hauntingly surprising ending. The writing is good; complex issues of young adulthood are tackled well, and the drawings are interesting and sometimes inspiring. A thought-provoking and pacy read.